If you haven’t yet made a purchase online then you would be a rare person. The beauty of online shopping is all thanks to the Internet and clever retailers who are willing to open their “doors” to this super convenient way to shop. You can purchase just about anything online and there are great benefits to it. With fuel costing so much now, many of us are not as quick to jump in our cars to travel to the shops. Shopping online alleviates the need to use up precious and expensive fuel. If you are not one that is keen for crowds and despise trying to find a car park at a busy shopping centre, then again, you are saved by online shopping. Comfortably, you can relax at home or even at your office and peruse the products of your choice online. You can compare prices and read testimonials about suppliers to help you better decide if you wish to be a customer. Bottled water suppliers in Brisbane, now online! So the mention of purchasing just about anything online is completely true. Years ago bottled water or water filters were not such a common item for households to purchase. We were happy to drink water from our taps and there was no need for such things, or so we thought. But now we know better. 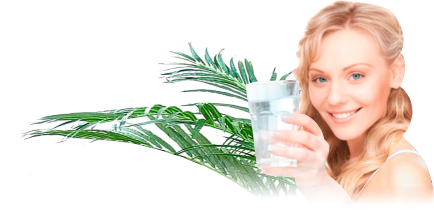 In fact bottled water suppliers in Brisbane such as Pacific Springs are now online, offering all kinds of water filter systems and bottled spring water for our convenience, just a click away. Their friendly and professional team can answer any query you have either online at https://pacificsprings.com.au/ or by phone, if you prefer, on 1800 292 837. Their simple ordering system allows you to browse and select your chosen product online and it will be delivered direct to your door. This really is online shopping at its best. If you have been living under a rock and missed out on knowing why it is better for you to drink filtered water, read on. Common tap water can contain certain toxic substances such as chlorine and aluminium. These have been added in an attempt to kill off any viruses and bacteria; however, some escape the poisonous effect of chlorine and we can still suffer from consuming such poisonous substances. Giardia is one of the bacteria that lives on after the addition of chlorine and then you have to think about the dirt, the condition of your pipes and the source of your water. If you want the cleanest purest drinking water possible, contact Pacific Springs today and do your body a favour. This entry was posted in Drinking Water, Water Filters & Purifiers and tagged filtered water by Teala. Bookmark the permalink.